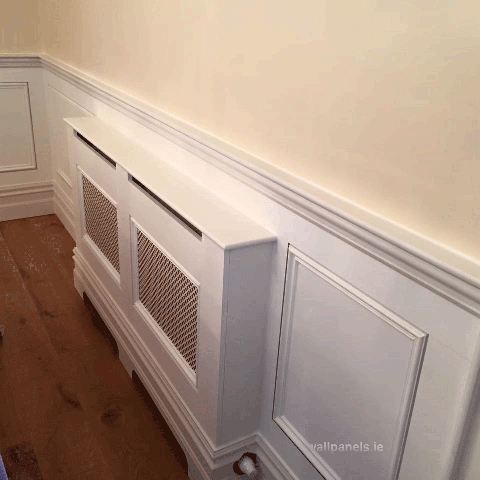 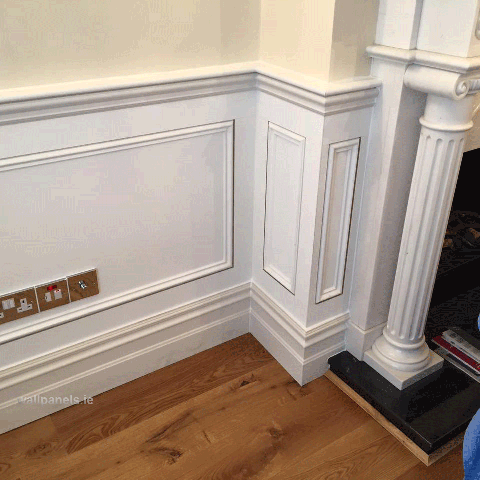 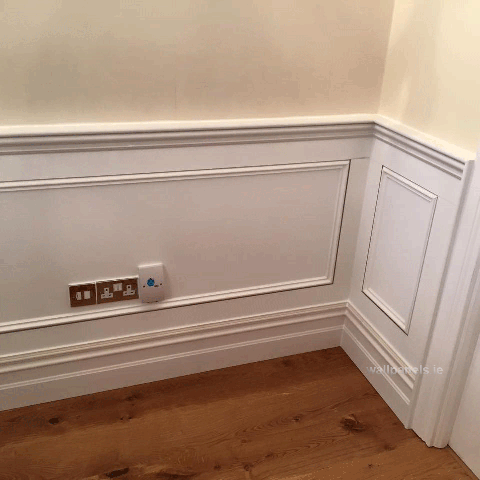 Our Georgian Style wall panelling and matching radiator cover fitted in Templeogue Dublin this week. 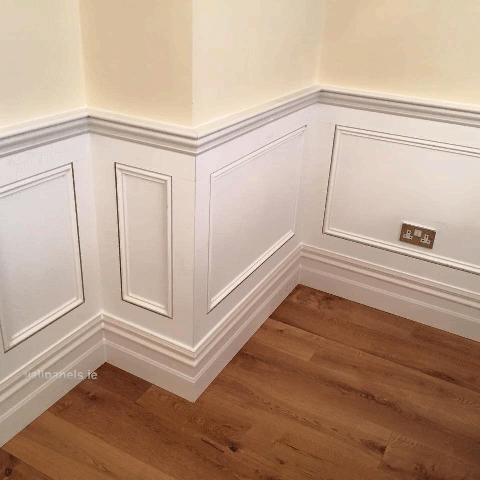 The Georgian Style is made from 18mm moisture resistant MDF with a large inset hardwood mould and 8 inch skirting board. 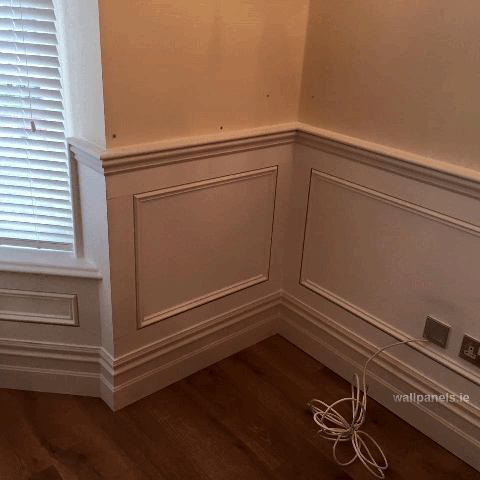 We fit all our panelling primed white and and ready for a finish coat.